Are you asking yourself what are healthy diets for kids? Are you overwhelmed by all of the diet information out there and wondering what you should be feeding your child? Here we make is simple for you! You are likely reading this because you recognize that a tremendous number of children are suffering from chronic disease and learning disorders. With a little research it is easy to understand that what your children eat will have a huge influence over their health and well being. You can’t expect to put bad gas into your car and have it still run right, correct? You recognize that something is wrong. Let’s talk about what diets really are healthy diets for kids. The following four diets really are healthy for kids. In combination, they provide the very healthiest diet your child can eat. A traditional food diet is one that is made up of foods that are in their most natural state; unadulterated and unrefined. It is these whole, nourishing foods that people have enjoyed for generations to provide the cells of their body with the necessary fats, proteins, vitamins, minerals and phytonutrients needed for vibrant health. It is for this reason we have added it to our healthy diets for kids. A traditional food diet will usually include some sort of animal protein including animal fat every day. All traditional diets emphasize foods that contain very high levels of minerals and fat-soluble vitamins (Vitamins A, D and K2). As well as small amounts of lacto-fermented foods that are cultured to provide necessary minerals, enzymes, lactic acid and beneficial bacteria like cortido, sauerkraut, kimchi, and yogurt. Instead of soft drinks, many traditional cultures consumed lacto-fermented beverages like kombucha, kvass and Kefir. 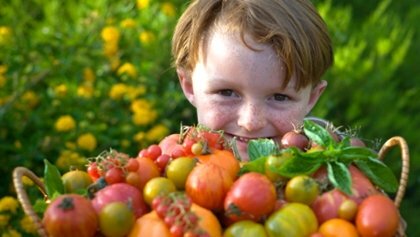 A wonderful article that discusses traditional diets is Ancient Dietary Wisdom for Tomorrow’s Children by Sally Fallon Morell. The very best book we have found about traditional food diets is Nutrition and Physical Degeneration by Weston A Price, DDS. In it he examines healthy diets for kids from many native cultures. Why is Nutrition and Physical Degeneration the best book about native diets? Because Dr. Price traveled to many isolated parts of the earth where the inhabitants had not contact with “civilization” to study their health and physical development. When you investigate healthy diets for kids, you need to consider more than the latest fad. You need to ask yourself, What has worked for generations? Dr. Price’s investigations took him to isolated Swiss villages and a windswept island off the coast of Scotland. He studied traditional Eskimos, Indian tribes in Canada and the Florida Everglades, South Seas islanders, Aborigines in Australia, Maoris in New Zealand, Peruvian and Amazonian Indians and tribesmen in Africa. These investigations occurred at a time when there still existed remote pockets of humanity untouched by modern inventions. Using one modern invention, the camera, Dr. Price to made a permanent record of the people he studied. Dr. Price clearly shows the relationship between what people eat and their health. Native populations eating their native diet had faces that were broad and well formed. They were rarely sick and lived to ripe old ages. 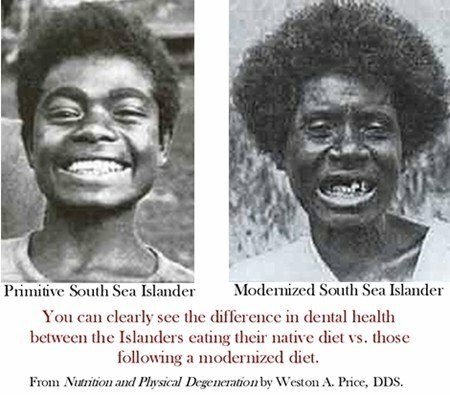 In contrast, native people that started consuming a “modernized” diet had rampant tooth decay, infectious illness and degenerative conditions that didn’t exist in the native populations eating their native diet. Worst yet, the children of native people that had started eating a modernized diet had increased health issues and altered bone structure that included had crowded and crooked teeth, narrowed faces, deformities of bone structure and reduced immunity to disease. Healthy diets for kids really are ones that we have been consuming for generations, diets that we are genetically optimized for. All healthy diets for kids should be made up of organic food. Eating chemical-free, non-GMO food is especially important for babies and children. Why? According to the Environmental Working Group (EWG), a watchdog environmental organization, nine out of ten children under the age of five are exposed to thirteen different neurotoxic insecticides in their baby foods. While these chemicals rarely cause acute illness, they have the potential to cause long-term damage to the brain and nervous system, which are rapidly growing and extremely vulnerable to injury during their formative period. For this reason, we recommend an organic diet as one of our healthy diets for kids. Pesticides are up to ten times more toxic to children than adults due to their smaller body size and developing organ systems. It is especially important to minimize your children’s exposure to chemicals whenever possible during their growing years. In addition, the hormones commonly used in conventional dairy and meat production are causing girls to reach puberty earlier and making them more susceptible to hormone problems later in life. than conventional food. The organic food was also lower in cancer causing nitrates and toxic heavy metals. When choosing meats and eggs try to get free-range AND organic. Why? Animals eating natural foods such as grass for cows and grasses and bugs for chickens are healthier. Although organic food is more expensive than conventional food, it is worth paying the extra money. With the number of sick kids nowadays, some even go as far as to say that you can either pay for organic food or pay for medical bills. To make organic food more affordable, eat food that is in season and shop at your local farmers market. You can also investigate the multitude of farmer to consumer direct coops that are sprouting up all around the United States and abroad. A nutrient dense diet is one that supplies the body with an abundance of nutrients. Healthy diets for kids should include foods with as many whole food nutrients and enzymes as possible. Today, most conventional foods lack vitamins and minerals. Why? Because if nutrients and minerals are not in the soil, they cannot be absorbed by the plant. Vitamins and minerals are needed by both children and adults for building new tissues as well as repairing old tissues. The most nutrient dense foods are animal meat and organs from animals that free range. For example, the meat of cows roaming on pasture, munching away on their natural diet of fresh grass have four times the amounts of vitamins A and E as their commercial grain-fed, feedlot cousins. Similarly, chickens allowed to forage for bugs and grass while the soak up sunshine in the great outdoors produce eggs with greater amounts of vitamins A and E than conventionally raised chickens. Eggs from pastured chickens also contain omega-3 and omega-6 fatty acids in a beneficial ratio of 1:1 while commercial eggs average an unhealthy 1:19 ratio. Other especially nutrient dense foods include raw butter from grass-fed cows, raw milk, and green leafy vegetables. Raw milk has the perfect balance of fat-soluble vitamins A,D,K, and E, plus minerals, the enzymes needed for digestion and beneficial bacteria needed for proper digestion. The fat in whole raw milk is essential for the absorption of the residing minerals, including calcium. Pasteurized milk by comparison offers only denatured proteins and is much harder to digest since the enzymes necessary for digestion have been destroyed. For great information about the safety and availability of raw milk in your area visit A Campaign for Real Milk. Our bodies have evolved to eat whole foods over millions of years while manufactured and processed foods have only been around for a couple hundred years. As a result, unrefined food, food that comes directly from the soil or from an animal with minimal processing is the healthiest for us. For example, unrefined salt is an excellent, traditional source of nearly 80 trace minerals, essential to life. On the other hand, refined white salt is heated to excessive temperatures (up to 1200 degrees Fahrenheit) and stripped of all of its nutrients at the same time a myriad of undesirable substances such as aluminum, sugar and anti-caking agents are added. Another example is butter. Butter was a stable for many vibrantly healthy native peoples (reference: Nutrition and Physical Degeneration by Weston A Price, DDS.). Butter began to lose its popularity in the U.S. in the early 1950’s when the food industry capitalized on its ability to turn cheap liquid vegetable oils in to solid fats with a process called partial hydrogenation. These hydrogenated oils were a great way to supply cheap fats and oils to the budding fast food and snack food industries. Profit margins were large and the profits went into the pockets of the food manufacturers, not farmers. By spending lots of money on marketing, the food industry was able to convince the public that margarine is healthier than butter even though there wasn’t a shred of evidence that supported the claim. As it turns out the opposite is true! Read the article Know Your Fats and also The Skinny On Fats by Dr. Mary Enig and Sally Fallon for more information about healthy fats versus trans fats. Still used in most processed and packaged foods, the problem with partial hydrogenation is that it severely damages the original oil. 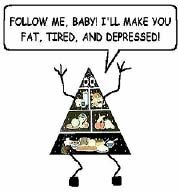 The worst side effect is the production of abnormally arranged molecules known as trans fatty acids. When trans fats are incorporated into cell membranes, they inhibit a wide range of biochemical reactions, such as enzymes and receptors. Fortunately, many parents are waking up to the dangers of consuming refined foods and are returning to a whole foods diet. What do these Healthy Diets for Kids have in Common? The healthy diets for kids described above are all very similar from the point of view that the emphasize natural, unadulterated foods that we have been eating for thousands of years. As a matter of fact, if you put them together, they are the very healthiest diet that you and your family can consume. Let’s shun processed foods filled with chemicals we can hardly pronounce, refined flour, trans fats and artificial flavors and colors. Instead, let’s nourish our children with food that we have been consuming for thousands of years. Food that genetically, their bodies are designed to consume. Food that will ensure vibrant health and optimal brain development. Pay for high-quality food produced by small, local, family farmers and enjoy fewer illnesses, children with happier demeanors, reduced medical bills, no medications and better productivity in yourself and your children. Nourish your child’s body by providing homemade meals while you nourish their emotions by eating together as a family at least 4 nights a week. See some Healthy Crock Pot Recipes. that can make meal preparation easy at the same time you provide your family nutritious food.